Africa’s most southern region, the Western Cape is also the country’s most mountainous and, some would argue, most beautiful province (certainly those who live in Cape Town like to think so). It has more iconic-style attractions than any other province, and the combination of winelands, beaches, mountains and cosmopolitan lifestyle appeal enough to attract over 50% of international visitors to the country (Cape Town’s big six tourist attractions are visited by a higher number of foreign tourists than locals). 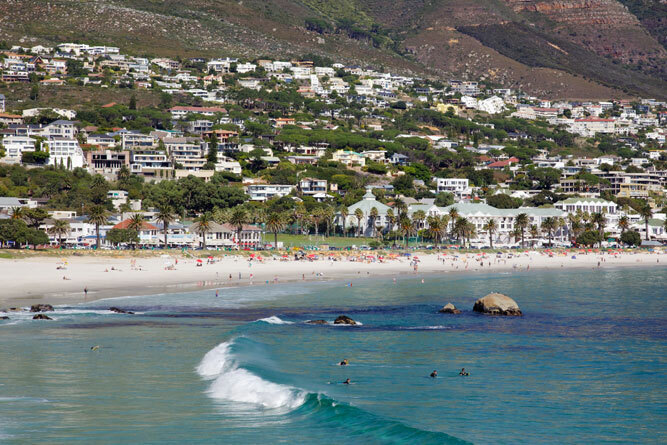 Muizenberg, Scarborough, Camps Bay, Strand, Paternoster, Witsand, Kleinmond, Plettenberg Bay, Yzerfontein, Melkbossstrand, Grotto Bay, Strandfontein, Jacobsbaai – these are but a few of the myriad beaches strewn along the Western Cape’s coastline. From Cape Town’s beaches, to beachside tidal pools, False Bay beaches, the Overberg beaches , and every other beach in between you are never short of a beach. Also known simply as Cape Point, this section of Table Mountain National Park is the sharp peninsular that juts out into the ocean on the tip of Cape Town. Years ago it served as the landmark to turn east for ships travelling south from Europe. 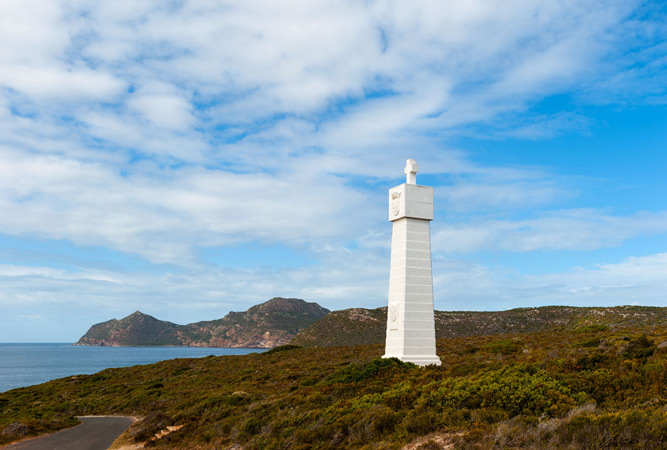 It is a collection of almost deserted beaches, inspiring walks that include the two-day Cape of Good Hope Trail, over 250 birds and an old lighthouse overlooking a series of sheer cliffs. Include as a day trip, but get there early. Just three hours from Cape Town is a wilderness dominated by burnt ochre mountains, sandstone rock formations that serve as the stage for a myriad wilderness hikes, a rich store of KhoiSan rock art, and mountain fynbos that is the envy of all who visit. 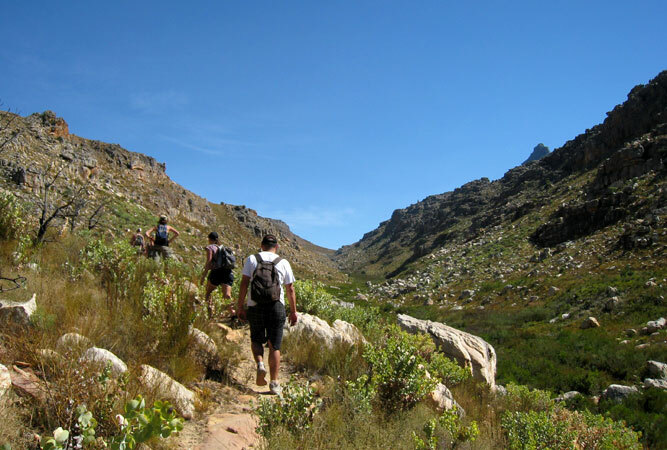 The 100 km long protected Cederberg mountain range is bounded by a number of conservancies that act to further insulate this 71 000 hectare reserve that shelters a list of red data plant species, scarce fynbos, rooibos and buchu varieties and, high up in the mountains, the endemic snow protea. It is renowned for its outdoor escapes. 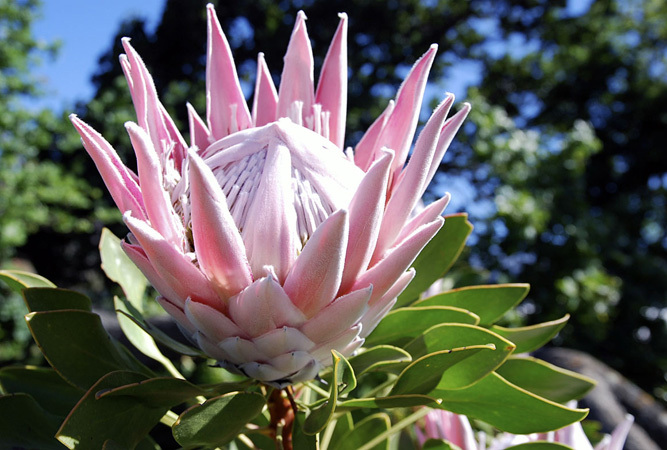 The Cape Floral Kingdom is the smallest of the world’s floral kingdoms, yet by far the richest in terms of biodiversity with well over 9 000 different plants, 69% of which are found nowhere else in the world. 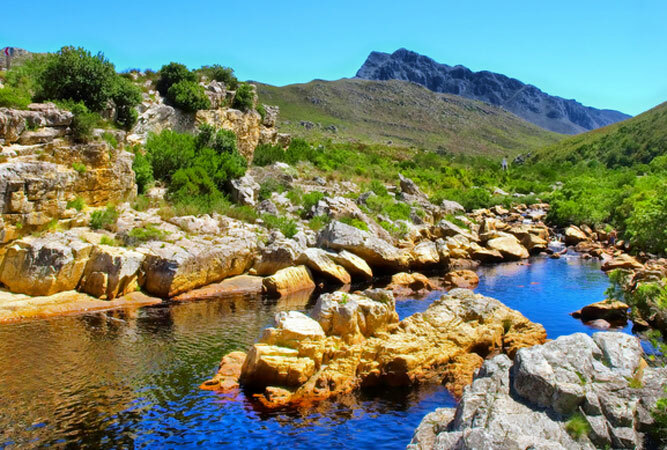 It is a World Heritage Site that covers the Western Cape and extends into the Eastern Cape dominated by a series of national parks, nature reserves, wilderness areas, forests and mountain catchment areas. Named the world’s Garden of the Year for 2015, Kirstenbosch is high on any visitor’s list of places to visit when in the Western Cape. The addition of the Boomslang (Tree Canopy Walkway) that rises through the trees with amazing views has drawn even more visitors since 2013, whilst the 9 000 of Southern Africa’s 22 000 plant species grown in the gardens, as well as a section of Jan van Riebeeck’s original wild almond hedge, give added value to any visit. Outdoor summer Sunday afternoon concerts are a must. South Africa’s first Unesco Biosphere Reserve lies just 90 km east of Cape Town. The 100 sq km reserve combines 1880 plant species, an incredible bird life, wetland wild horses and whales just offshore with day hikes, mountain bike trails and overnight trails. 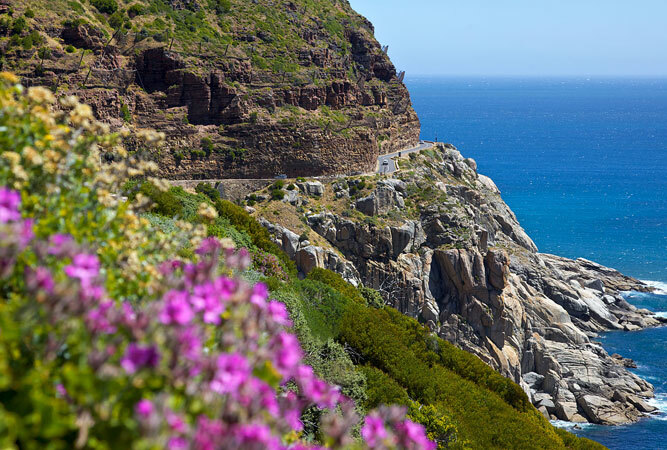 Possibly the world’s greatest biodiversity hot-spot, the true drawcard of the Kogelberg is its incredible scenery – beaches, rocky shores, mountains, vineyards, orchards and exceptional fynbos. The biosphere is a commitment by local communities, farmers and conservation to protect a magnificent landscape. 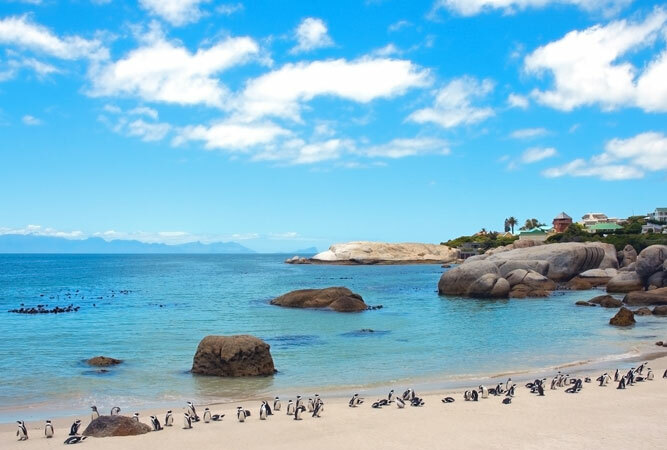 Ten islands and two mainland sites support the African penguin along the Western Cape’s coastline. In fact, 80% of the world’s African penguins are found here, mainly offshore, but Boulders beach, in Cape Town, and Stony Point, in Betty’s Bay, are home to two unusually large groups of these diminutive waddlers, who benefit from the close proximity of humans who ward off their usual predators. A visit allows one to walk in amongst (in the case of Boulders: swim in amongst) the Jackass penguin. 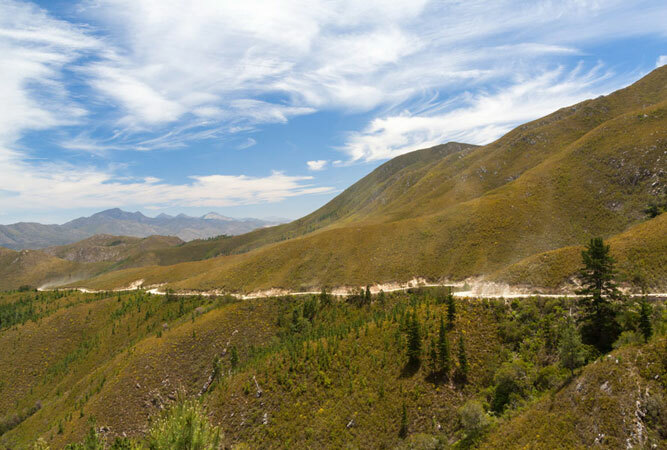 Roads hardly qualify as a natural attraction, but a series of beautifully crafted historical mountain passes allow movement through the province’s Cape Fold Mountains that encircle the Western Cape. The almost 130 passes in the province are engineering feats, beautiful in their own right, many of them designed and built by master builders Andrew Geddes Bain and his son, Thomas. Favourite passes include: Swartberg Pass, Sir Lowry’s Pass, Kaaiman’s River Pass, Hex River Pass, Akkedisberg, Prince Alfred Pass, and the Outeniqua Pass. 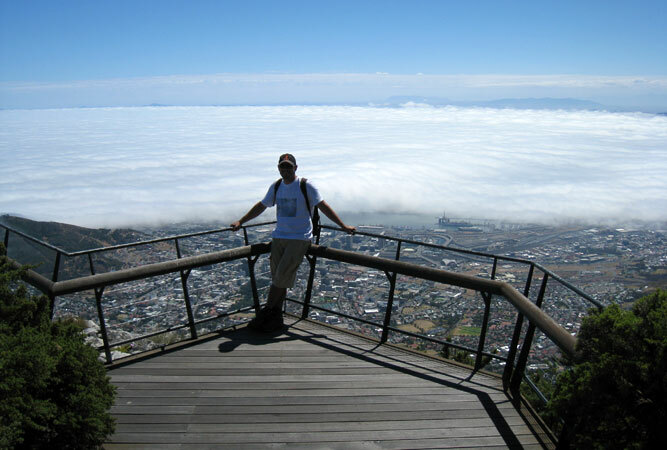 Cape Town’s most recognisable landmark, Table Mountain is named for its flat-top and ubiquitous cloud tablecloth. It is a flagship not only for Cape Town, but for the country as a whole; almost as iconic as Nelson Mandela. Named one of the new 7 Wonders of Nature it draws millions of tourists who use the cableway or hike to the top of its level plateau that extends some 3 kilometres, edged by a series of dramatic cliffs. To the east the plateau is flanked by Devil’s Peak, and to the west by Lion’s Head. Together with Signal Hill it forms a natural amphitheatre over Cape Town’s city bowl. 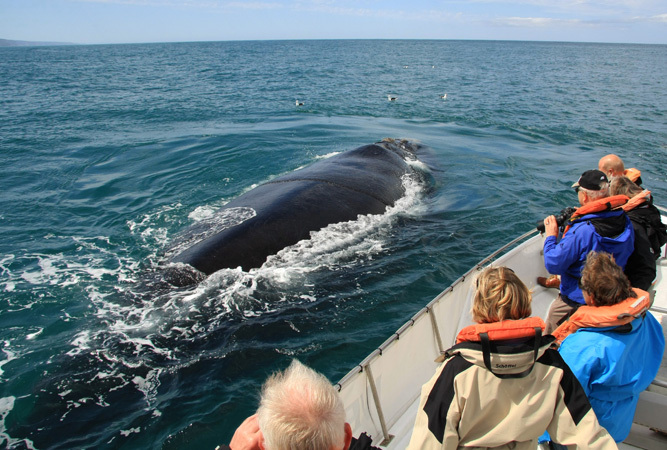 The Western Cape is one of the most popular destinations in the world for whale watching. Southern right, humpback and Brydes whales are annual visitors to the coast, migrating from their icy feeding grounds to our ‘warmer’ waters in June/July and staying until December. A drive from Cape Town to the Overberg along the Whale Route includes the towns of Betty’s Bay, Kleinmond, Hermanus, Pringle Bay and Gansbaai (with some of the world’s best landbased whale watching at Hermanus). These sheltered bays serve as breeding grounds and nurseries for the whales, who are now protected and safe from South Africa’s whale hunting of the past.